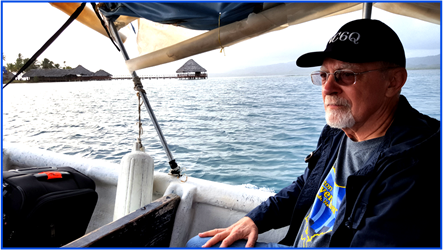 Bob Grubic, NC6Q, will be our March presenter with his Vacation DXpedition in Panama presentation. Bob has been licensed for over 40 years, and holds an Amateur Extra Class license. Though inactive for many years raising a family, he’s been very active the last 15 years. He has served in many Ham Radio positions. This entry was posted in Announcements, General Meeting, Information. Bookmark the permalink.